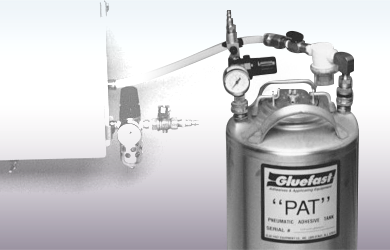 When you want to spray water-based glues, adhesives or acrylic coatings, the PAT Sprayer from Gluefast is the product to choose. Use the PAT Sprayer to apply adhesive for case and carton sealing, palletizing loads, or performing just about any other gluing application. You can spray our CV Acrylic Coatings too, providing a quick and neat application onto artwork! The PAT Sprayer is an optional attachment for the PAT (Pneumatic Adhesive Tank, available in 3, 5 & 10 gallon tanks). The Standard PAT uses extrusion glue heads, which allow you to apply a dot or line of glue approximately 1/4" wide. The PAT Sprayer allows you to apply a lighter coat of glue or acrylic coating to a wider surface area. The PAT Sprayer disperses low viscosity water based liquid in droplet form, which allows for much faster setting times compared to brushes or extrusion. 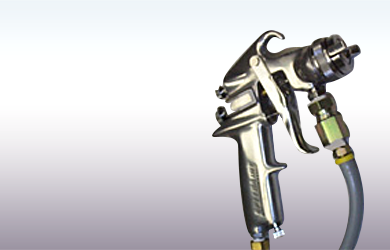 The PAT Sprayer is used with the PAT Adhesive Applicator, a self-contained unit comprised of a stainless steel tank, pressure gauge and regulator, handgrips, a rubber hose and safety relief valve. 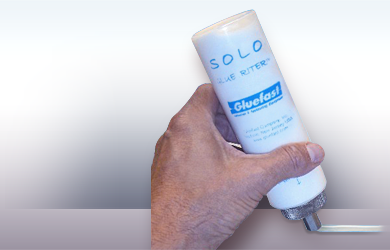 The glue or acrylic’s viscosity should be under 3,000 cps for optimum results. Thick products (like Gluefast’s CR texture gel coatings) cannot be used with the PAT Sprayer. Simply fill the tank with a water-based adhesive or our acrylic coating and air (10-90 psi), and you’re ready to apply the adhesive with the controlled amounts you desire. 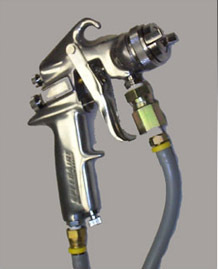 Trigger Pull – this controls the amount of glue applied. 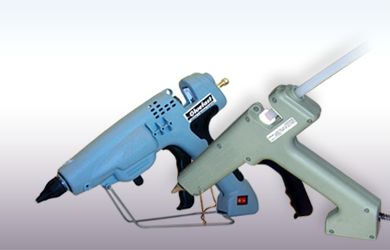 Atomizing Air Control – this limits the amount of air used to atomize the glue. Pattern Control – this controls the size of the spray pattern applied. 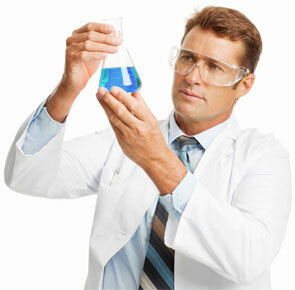 Designed for water-based products only – not to be used with solvent-based products! Contact The Gluefast Company, Inc. at 1-800-242-7318 or email us to find out if this adhesive equipment is right for your application.